Home > Vedic Sciences > What is Darshan? The word ‘darshan’ can be roughly translated as ‘vision’. Darshan is used to describe the holy sight of a saint or enlightened being. Just seeing an enlightened being is believed to cleanse the karmas of lifetimes and create deep and lasting transformation in us. Darshan is the powerful superconscious vibration that is present around an Enlightened Being at all times. Although we usually speak of ‘getting’ the darshan of an evolved soul, an enlightened being does not actually ‘give’ darshan – he simply radiates darshan. Just as the sun continuously radiates light, whether anybody is present to receive it or not, the enlightened consciousness is forever radiating its presence. The auspicious moment when we are able to ‘catch’ it becomes the moment of darshan for us! The important thing in darshan is not ‘what to do’, but ‘how to be’. Darshan cannot be given, but it may be ‘drawn’ from the source by the receiver, by tuning in to this superconscious vibration. The breathing space of an enlightened being is like an extension of his physical body. It is a powerful healing energy-field. When we are completely available and receptive in such an energy-field, we don’t need a technique to catch a glimpse of the same state. Even without much effort from our side, our bio-memory ‘learns’ the expression of enlightenment. Our physiology can actually change in the presence of an enlightened Consciousness. Darshan has the power to release both physcial and psychic blocks in our system and cut through the layers of unconscious negative patterns built up over lifetimes. 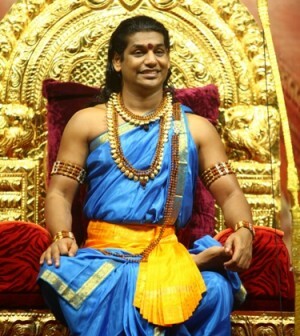 For the receiver who is ready, darshan can be the moment of permanent and irreversible transformation. Darshan is a powerful cleansing process that brings up your unconscious mind to your conscious scrutiny. The intense vibration of darshan causes the hidden layers of the unconscious to erupt, releasing deeply engraved memories and karmic blockages. On the other hand, your most deeply cherished spiritual moments are also vividly relived during darshan. During darshan, many people have visions, healing experiences, intense spiritual experiences, and the direct experience of causeless bliss. In many others, deep-seated unconscious fears, guilt, and desires rise to the surface. Some people just go into intense silence. Others feel overwhelmed with tears. All these are equally wonderful happenings, because they mean that the darshan is working on you. During darshan, your being comes alive and celebrates with the energy wave of Existence. The mind subsides for a while. The whole scene of the darshan becomes a deep imprint in your consciousness. For the perfectly prepared and completely open being, darshan itself can be the moment of initiation. But in general, darshan is a preparation for deeksha, the initiation. Darshan is like ploughing the soil, ‘deeksha’ is like planting the seed. Darshan makes you liquid and receptive. It helps you connect deeply to the vibration of the Master and prepare yourself to receive His energy. The longer you spend in darshan, the more finely tuned you become, so that at the moment of deeksha, you will be completely open and ready to receive.